We’ve been having really nice weather here in Calgary lately. This past weekend has been so warm you would hardly believe that it’s almost December. 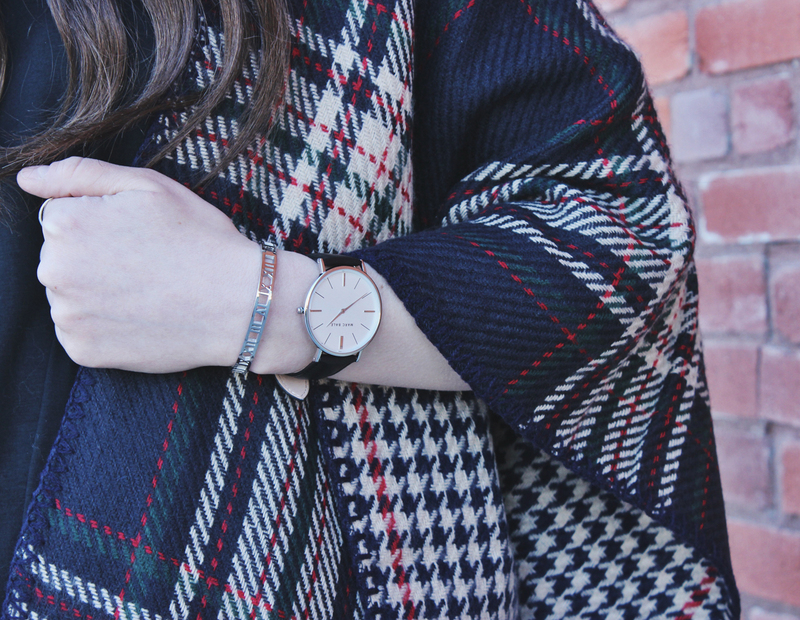 One of my favourite looks for this time of year is anything plaid, warm and cozy. This poncho is all of the above. 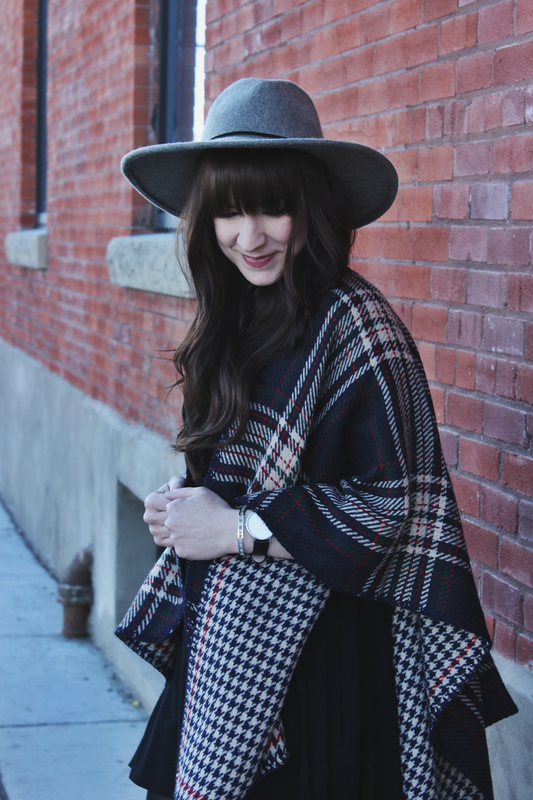 I love to wear ponchos all year round but especially in the fall and winter! To finish off this look I added a few of my favourite new accessories. 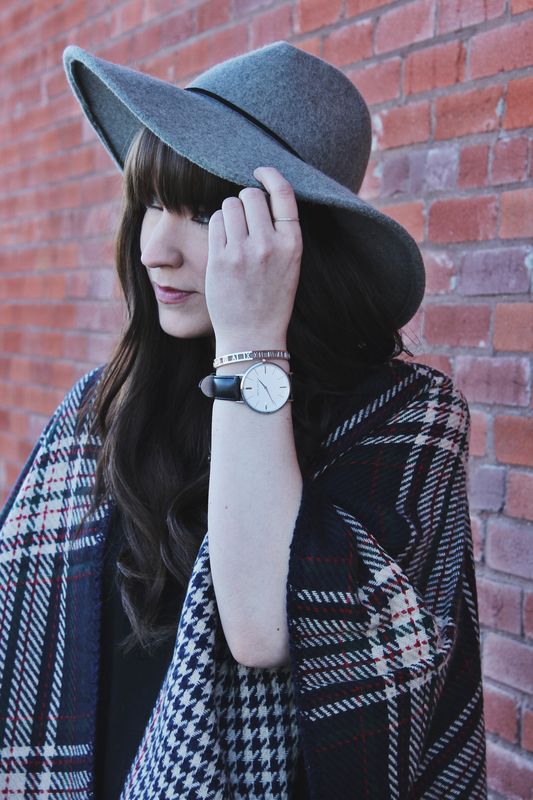 This watch by Marc Bale is modern, elegant and the perfect addition to almost any look. It’s easily my new favourite time piece! I paired it with this silver bangle by The Peach Box. Use Discount code “mbthefoxandfern” at www.thepeachbox.com for 15% off until the end of December! 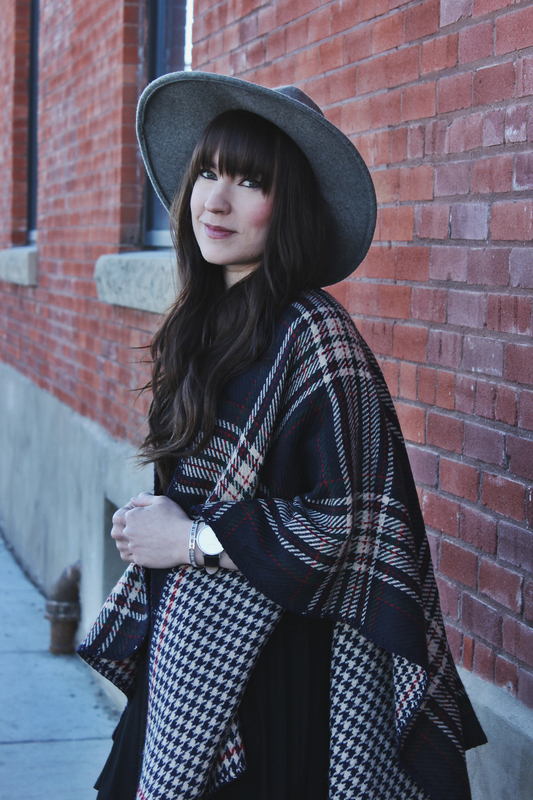 Very pretty poncho and the hat is on point! Wow! So stylish, I love it!